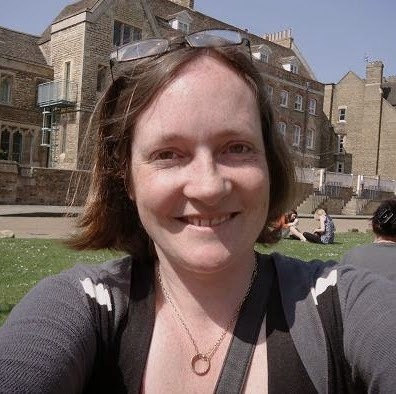 I've already made a start on decorating now for Halloween because we don't get an awful lot of readily available decorations locally near where I live and I'm not going to spend a fortune buying them off the Internet when I can make them myself. 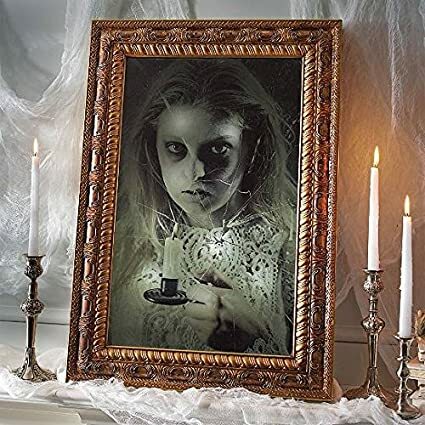 There are lots of ways in which mirrors can be given some serious spooky treatment and I’ll be giving lots of inspiration for that in this post after I've shown you a couple of things that I've done myself to jazz up our own. There's a bit of DIY crafting going on and that eats up a lot of my time but it's also a lot of fun. 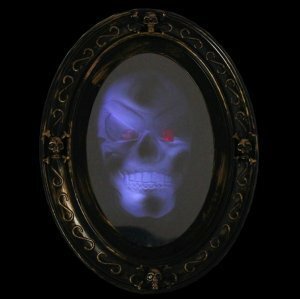 Let's see what you can do to decorate a mirror this Halloween that looks really cool. I don't know about you but I enjoy trying to make Halloween look good on a real budget. I don't have hundreds of dollars to spend at this time of year. Especially not with Christmas soon after. 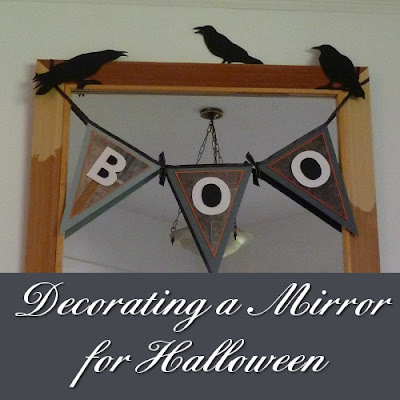 Here's some cool ideas on decorating a mirror for Halloween that doesn't cost the Earth. What crafting will you be doing for this occasion? Let me know in the comments below. This Boo banner hung across the top of the mirror was made simply from layers of paper and colored shades of card in blacks, grays and glitter white letters (these sparkle pretty nicely in the evening) with just a hint of orange. 🎃 I stapled these banner pieces to some ribbon and tied that to hang down from the top corners of the wooden frame. Visit my photo tutorial on making this boo banner so you can make one too. Banners with text are good to drape across accent pieces of furniture like this but, to really make it stand out, you want rather short words so they are easy to read from a distance. So Boo is ideal but you could also use short words like Eeek, Spooky, RIP, Creepy. Also which you can see in the photo above, I made some spooky little black bird paper and foam cut outs after being inspired by a very similar Martha Stewart product. I've perched these mainly around my mirror and on the picture rail near the ceiling where they contrast well with the ivory paint. 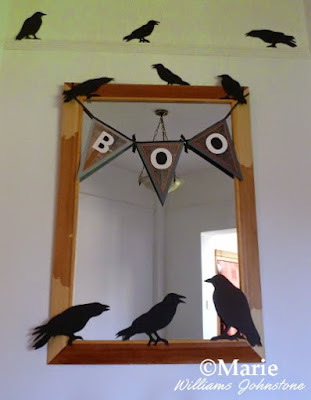 You can also try making the spooky black bird cutouts using my tutorial and free printables. 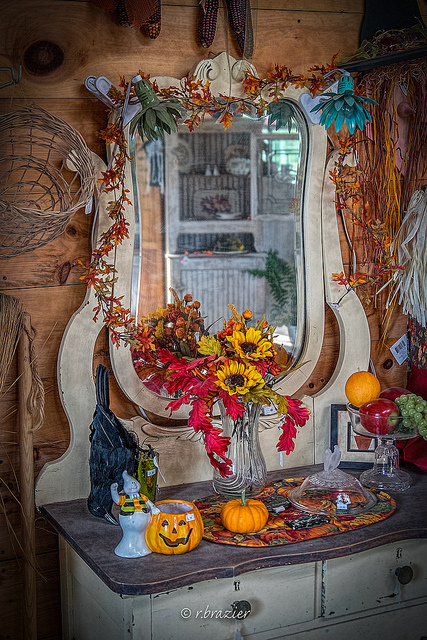 Mirror decorated for Halloween with a real Fall season feel of cascading Fall leaves, sunflowers and pumpkin motifs. The color scheme works perfectly and I love the whole rustic look. Get some faux Fall leaves and glue with a glue gun onto twine to make a quick garland that you can drape around a mirror like this. Get a selection of Fall colored flowers such as sunflowers and pop them in a vase in front of the mirror and add in some pumpkin decorations to finish the effect. Thankfully many of these decorating ideas and inspiration really just cost the most in time since the materials are mainly paper and card which you probably have in your craft supply already as well as some easy to get dollar store items.